Join us for an evening of music in support of Opera at UC Santa Cruz! The concert program will feature excerpted arias from favorite operas, performed by esteemed alumni Laura Anderson (soprano), Matthew Lovell (baritone) and Sheila Willey Hannon (soprano), as well as current students. Plus a sneak-preview of this Spring's opera production: Mozart's "Così fan tutte." Directed by Brian Staufenbiel. Conducted by Nicole Paiement. A silent auction and reception follows the concert. The UCSC Opera Theatre presents a full production with orchestra, costumes, sets, and lighting in Spring Quarter of each year. The opera program has gained recognition on the West Coast as a strong department in both opera and voice instruction, including an award from the National Opera Association for its presentation of Benjamin Britten's A Midsummer Night's Dream in 2006, which achieved the highest ranking in the college opera category for staging, concept, costuming, singers, and orchestra, and other aspects of the production. UCSC's production of Mark Adamo's Little Women, was also awarded second prize in the National Opera Association's 2012 production competition. 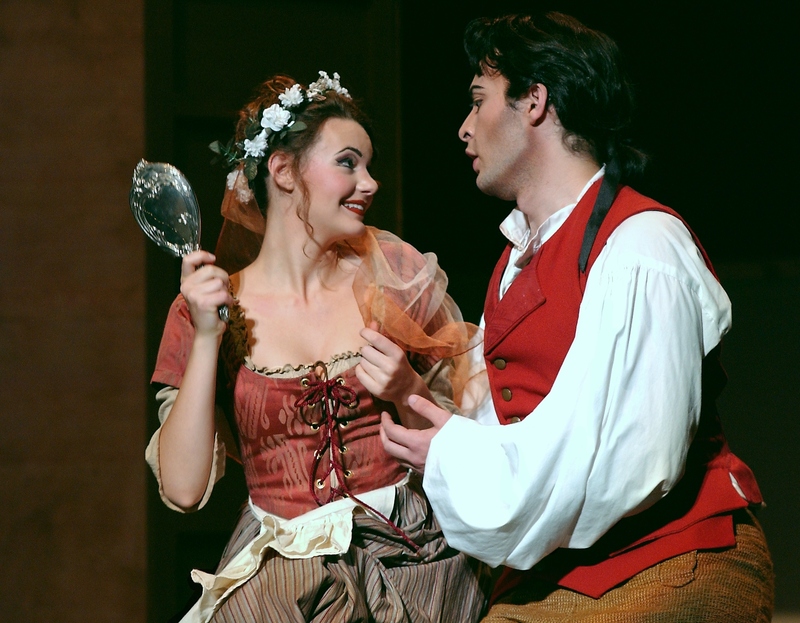 The majority of roles in UCSC opera productions are sung by undergraduates, providing talented young singers with a well-rounded educational experience and valuable experience on the stage. Doors open at 7:00 pm. Concert at 7:30 pm. Tickets on sale now at santacruztickets.com and in person or by phone at the UCSC Ticket Office (831-459-2159) and the Santa Cruz Civic box office (831-420-5260).